I've made this bag multiple times before. Miss C already has her own version. 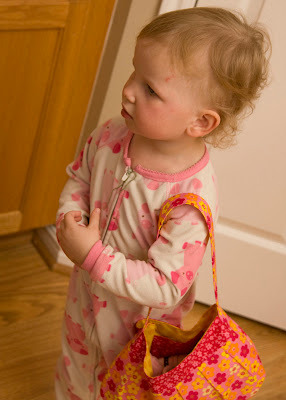 The problem lately is that her little sister likes to "borrow" Miss C's purse. I decided Miss A needed one of her own. She readily agreed. This bag is a perfect little girl bag. It's a nice small size for a little body to carry plus it fits a sippy, toy cat, dolly, and other misc toys without missing a beat. 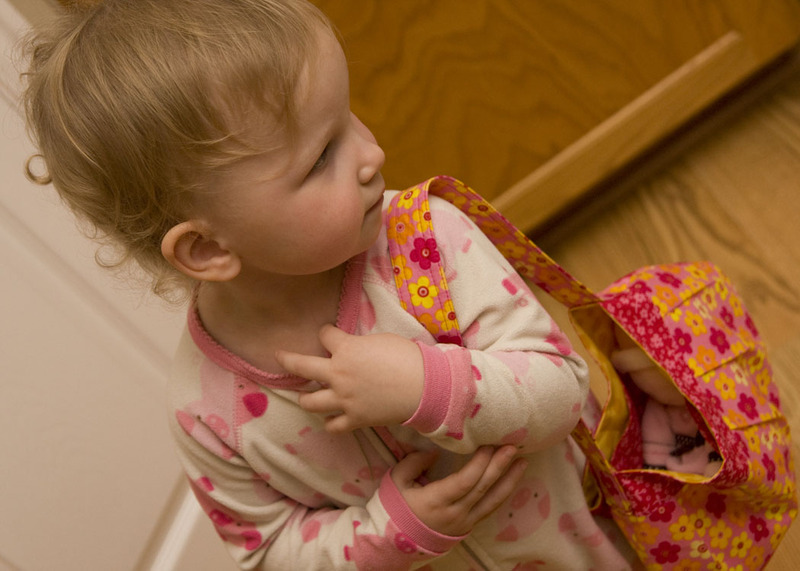 The cutest thing ever-- Every 10 minutes she comes up to me with her purse over her shoulder and says, "Bye, bye Mommy. I'm going to the store." or "See you later. I'm going to see the animals at the zoo." 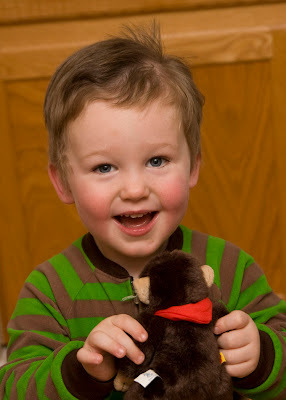 Not to be outdone, Little Dude insisted I take pictures of him with his monkey. Don't you love the after-naptime hair? All these pictures were taken right after nap time. If you look, you'll notice the embroidery floss tied to their zippers. Yep, I sew my kids into their jammies for nap time and bedtime. Just one more step in necessary extreme-babyproofing around here. 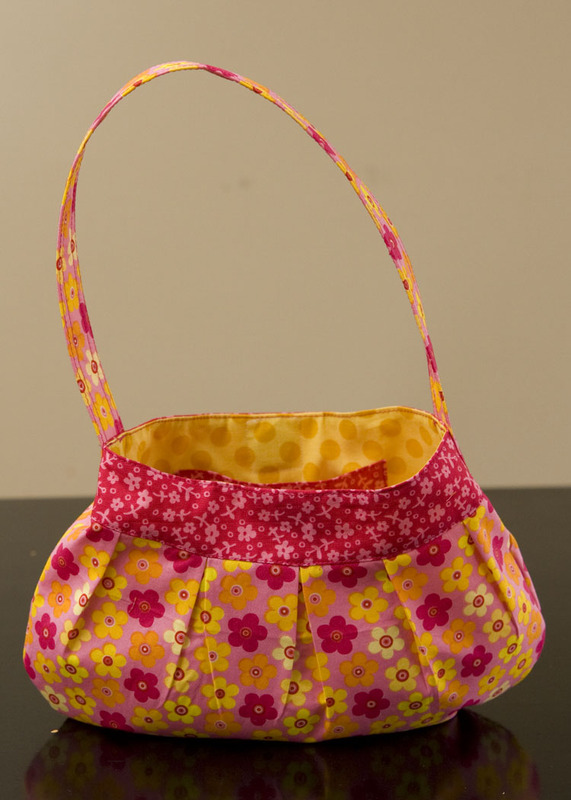 I gasped when I saw all of the great purses you have made. It makes me want to be one of the kids just to get a great purse like that! 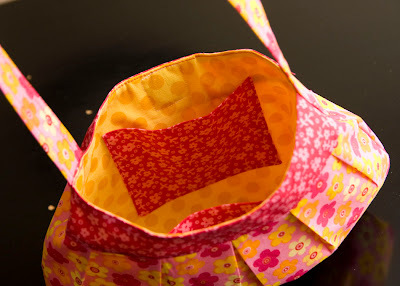 I've been inspired to try and make one for Isabel (to be used down the road). When I saw the kids I was so happy. We miss having miss C come play with us in our yard. :) You still inspire me to want to try so many new things and do new things. My rate of production is much slower than yours though. I hope those purses are going to be good Christmas presents! Went for a long drive in the mountains towards Florence today and it was beautiful. Trying every day to be grateful for what I have (instead of what I wish I had). Give hugs to the kids from my boys, and me. too cute!! Love those little bags! Adorable! Not the bag. . Ms C!! the bag is cute. . but can't really hold a candle to her. Just sayin! Love the bag and its awesome adventures!! Sewing the kids in their clothes - priceless! I was just talking about your baby proofing extremes yesterday. You will go straight to heaven Kati for all that you are doing now! lol You amaze me! Love you!!! Sewing the kids into their PJs - genius! Seriously, naked kid during nap is a plague in some homes. I had a few in my time. But it gets serious when they have become naked, without the diaper, and they needed that diaper. 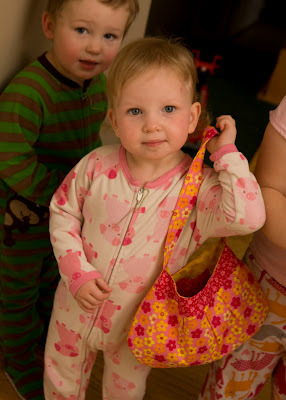 Oh my goodness, I don't know what is cuter the bag or your adorable little kiddos :-) she seems to be thoroughly enjoying her new bag! Too funny that you have to sew your kiddos into their sleepers for nap time, who knew your sewing supplies could have such wide range of uses! Aww, love the wee bag, and she's so proud of it! 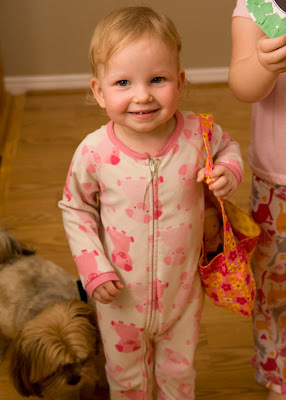 I am totally ROFL that you sew your kids into their jammies - genius! I think if we knew each other in "real life" we would get along famously because I have this bag ready to cut out on my sewing table! And a small one for my little person :) and you killed me with the floss! Precious! 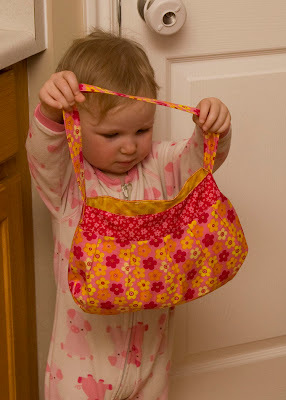 My daughter carries around a little tote I made her with a collection of pink things - bits and pieces from various toys. Oh my! I didn't realize you had 2 year old twins too! I went the opposite way though, twins first, then the newborn. Every once and a while my boys decide to skip their naps (like yesterday), I hope it is just a phase because those two hours are the only quiet time I get until I go to bed! :) I have yet to have a naked kid at naptime, although they usually go down in their daytime clothes. The have started to unzip their PJs in the morning... only time before they start running around naked here!